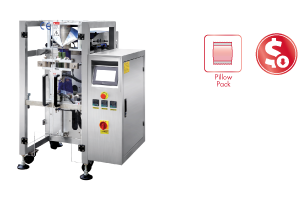 The Euro VFFS range is a cost effective entry level Vertical Form Fill Seal packaging machine. Suitable for small start up to medium production companies. Part of this range is the Euro Combi which is free standing and includes an integrated 10 head Multihead which sits directly on top of the VFFS line without the need of a platform.